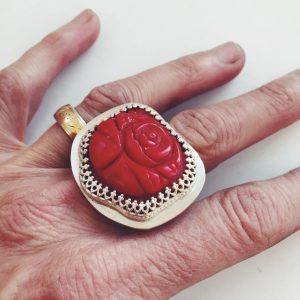 View cart “Enameled Dome Ring” has been added to your cart. 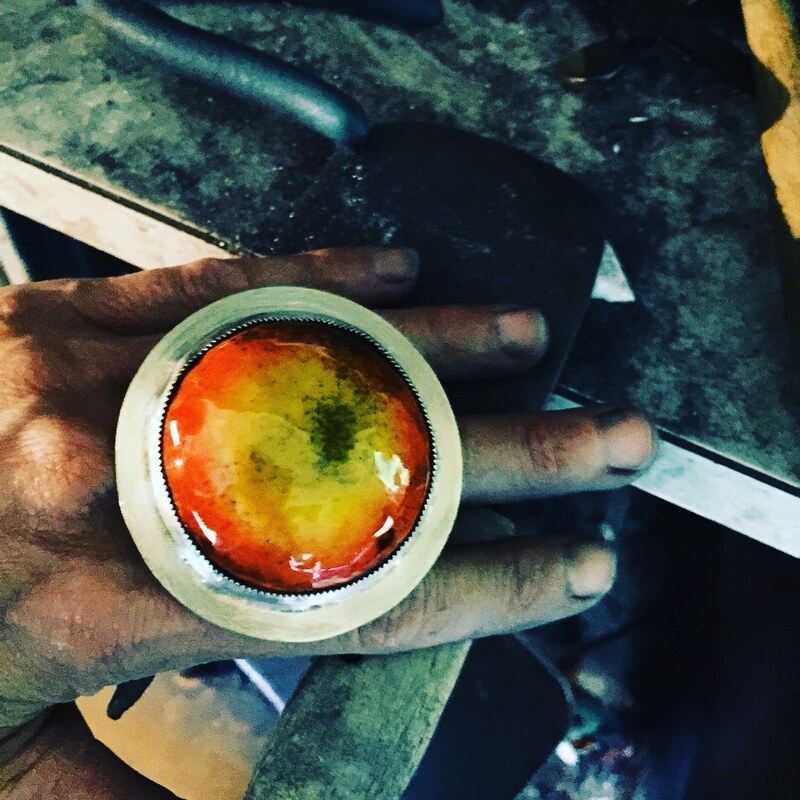 Lion-Hearted Resin Ring. 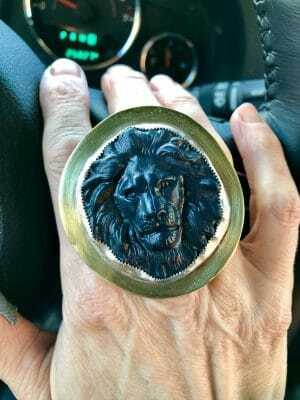 Caste resin Lion ring set in brass and silver with caste silver band. 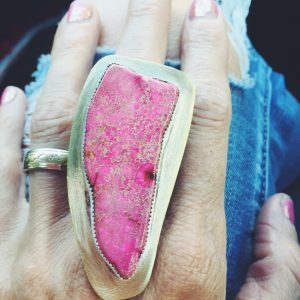 This ring is a power piece for sure. Lion. The lion is a very diverse symbol. Its most common traits are: majesty, strength, courage, justice, and military might. 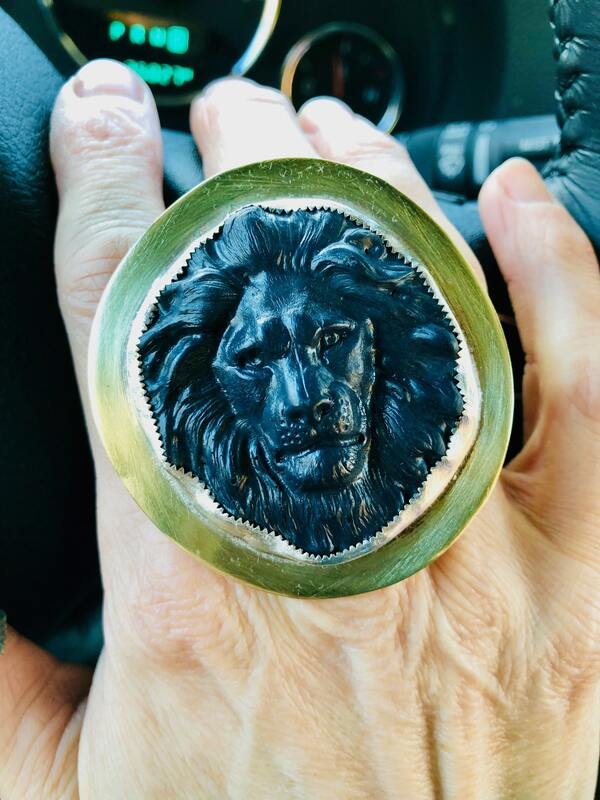 … Commonly reffered to as “the KING of the beasts,” it is a symbol of Kingly power and might, but as the lioness it is commonly related to the Great Mother and protection.